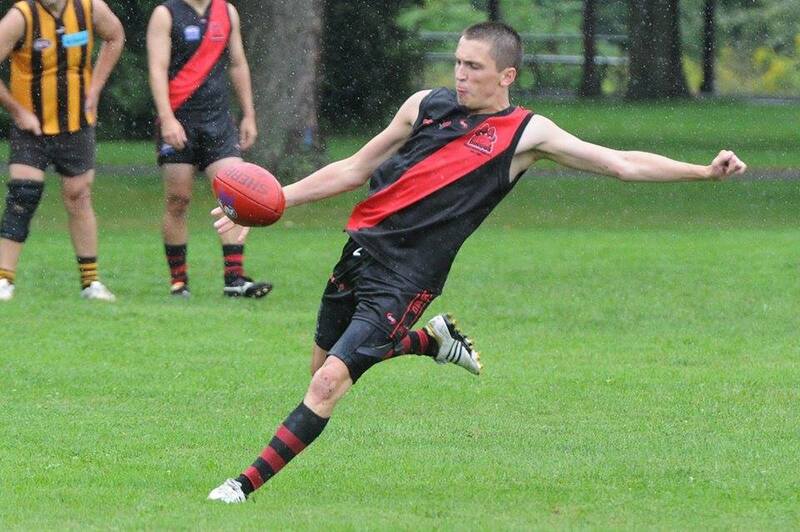 This Saturday, yet another Dingo will reach a club milestone in 2016 as James Duggan suits up for his 100th game, becoming the 8th Canadian to do so. To call Jimmy a cornerstone of the club would be an understatement. As a fresh faced 16-year-old, Jimmy first joined the club in 2008 and has been a mainstay at every training, social event and (when he was old enough to drink) footy trip ever since. Beneath the million-dollar-smile lies a passionate and dedicated footballer, who'll lay his body on the line or accept a tagging assigment without comment or complaint, while also taking every opportunity to help out a rookie with his skills. "He’s become an important part of our structure and adds speed and skill to our midfield," said Justin Robertson, Club President and Head Coach. "He’s also become a bit of a goal sneak and really developed his all-round game. I’ve been really happy with how he’s gone about his football in the past three years and it’s all because of the hard work he’s put in at training and on his own. He should be really proud of what he’s achieved since arriving at the club as a 16-year old. He's truly a valuable member of this team and one of the Dingo's favourite sons." In his 99 games, Jimmy has slotted through 79 goals - good enough for 5th all time for the club, and 2nd amongst Canadians. A three-time AFL Ontario All Star (2011-13), Jimmy has also won a trio of the Club's Canadian Best & Fairest (2011, 2013, 2015) and has been a long-serving member of Canada's national team, Northwind (including a 2014 IC Tournament appearance). Jimmy's accolades on the field are mirrored by his dedication to the club off the field, having served on the club executive since 2013 and had a hand in helping organize everything from footy trips to the AFL Grand Final party. Sadly, 2016 will be Jimmy's last for the forseeable future, as he moves to Melbourne, Australia in early 2017 for school and is as yet unsure when he will return to Toronto. Congratulations Jimmy on 100 great games of footy!